A Cleaner World Talks: How Often Should You Wash Bath Towels? I tell my husband that if it wasn’t for me, his bath towel would get up and walk away. Here’s why -- he hangs it up and uses it over and over and over, until I swear that it could grow legs. His argument is that he’s drying off a clean body. True, he’s washed off the dirt and germs but there’s so much more to consider. I actually keep track of his towel and never let him use it more than three times. Why? According to a menshealth.com article, every time you dry off, dead skin cells collect in the fibers of your towel. Those cells serve as food for bacteria, which happens to flourish in moist, tightly woven fabrics. If you reuse your towel over and over and over, then you’re just wiping that bacteria all over your body. Gross. Be sure to wash and dry your bath towels to remove any excess dyes or chemicals before using them for the first time. Wash bath towels with similar colored bath towels, but avoid washing them with other clothing for both efficiency and sanitary reasons. Wash them after every 3 – 4 uses, washing colored towels in warm water and white towels in hot water. Avoid using too much fabric softener on bath towels, which can make your towels feel slimy and less absorbent. 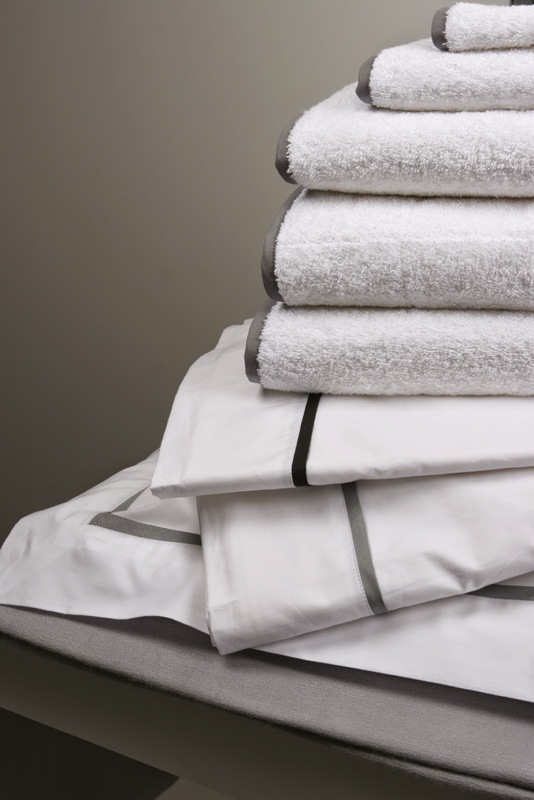 Make sure your towels are completely dry before folding and putting them away. A slightly damp towel can quickly mildew. Check. I do lots of things wrong, but I am proud to say that I handle our towels with great care. There won’t be any towels here that sprout legs, and my husband should thank his lucky stars that he married a clean freak. More more laundry tips, check out the helpful hints section of our website.